Home » foodmamma » brie and chocolate…a decadent combination! 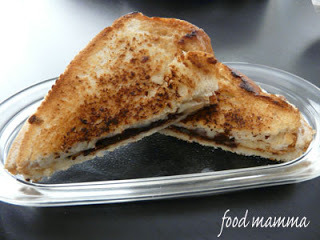 brie and chocolate…a decadent combination! I had the perfect sandwich yesterday. 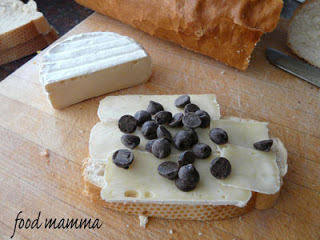 Brie and chocolate! Now I know some may never accept such a combination but it definitely deserves a try. The creamy, rich brie paired with the sweetness of chocolate, then grilled to perfection – the perfect sammy for fans of sweet or savory. Top it off with a tall glass of milk and you’ve got the perfect snack!